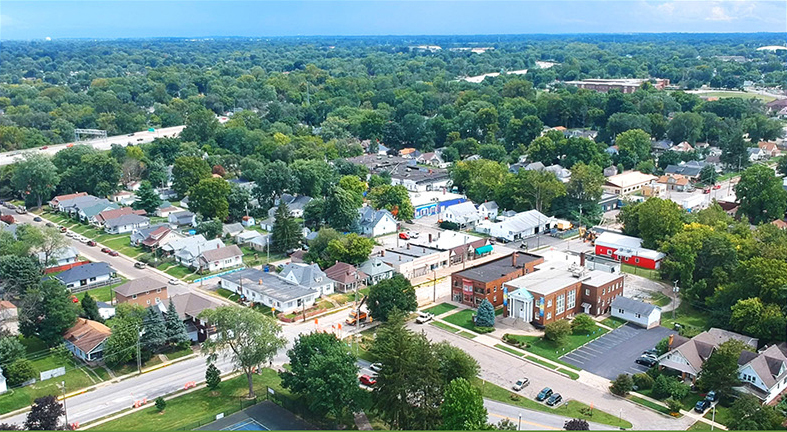 The Garfield Park neighborhood is located southwest of Fountain Square, in between Madison Ave and Shelby Street, bordered on the south by Troy Avenue and on the north by Raymond St and the 126-acre park which gives the area it's name. Only three miles from the center of downtown, it offers a combination of proximity to the heart of the city and a lush expanse of natural greenery. 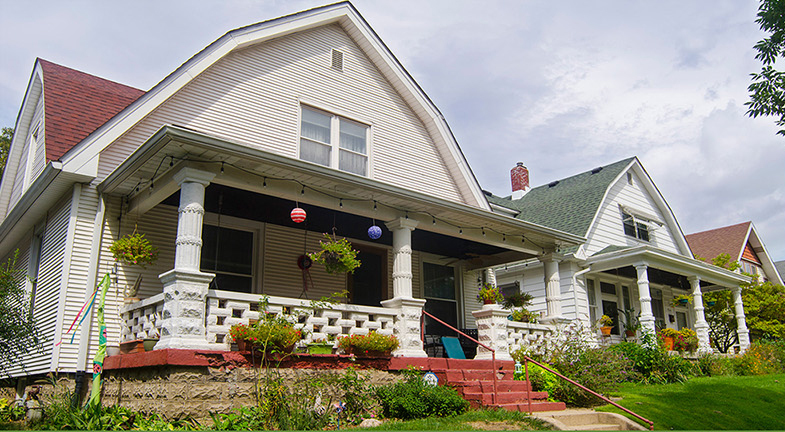 Most of the homes in Garfield Park are built in traditional American styles, like foursquare, colonial, and bungalow, typically constructed in the early 1900's. Many of the houses adjacent to the park, as above, are on a raised grade, with gently sloping laws, away from the main road. Above, a Craftsman bungalow, left, and a brick Tudor, right. Below, a pair of Dutch Colonial houses. 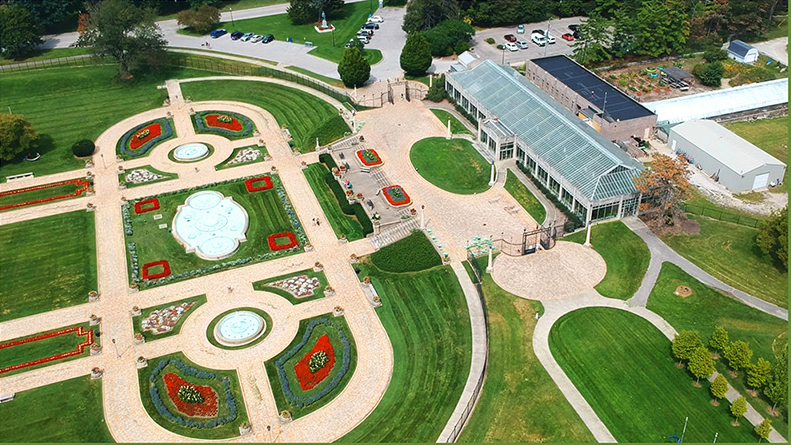 The Garfield Park Conservatory, above, as seen from the air. The ground of the conservatory feature exquisitely manicured gardens, fountains, and a greenhouse containing exotic plants and koi ponds. Exhibits of rare plants like Bonsai trees, below left, and orchids, below right, are frequently held there. 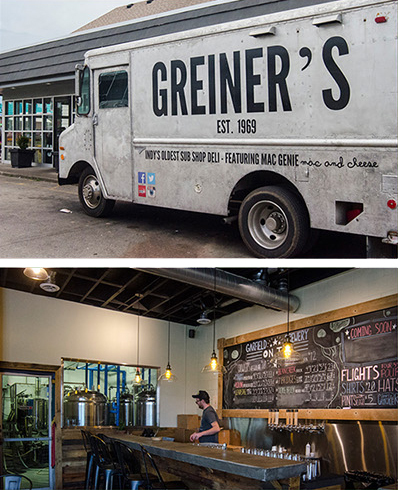 Among the restaurants in the vicinity of Garfield Park are Greiner's, a sandwich shop and deli established in 1969, renowned for it's "Mac Genie" macaroni and cheese; Porky's Pizza, located on Shelby Street; the Garfield Brewery, which serves seven different in-house beers and small plates, and has a dog-friendly outdoor patio in addition to it's taproom; and a Sabor Latino, which offers Central American comfort food like quesadillas and carne asada, and is open late.